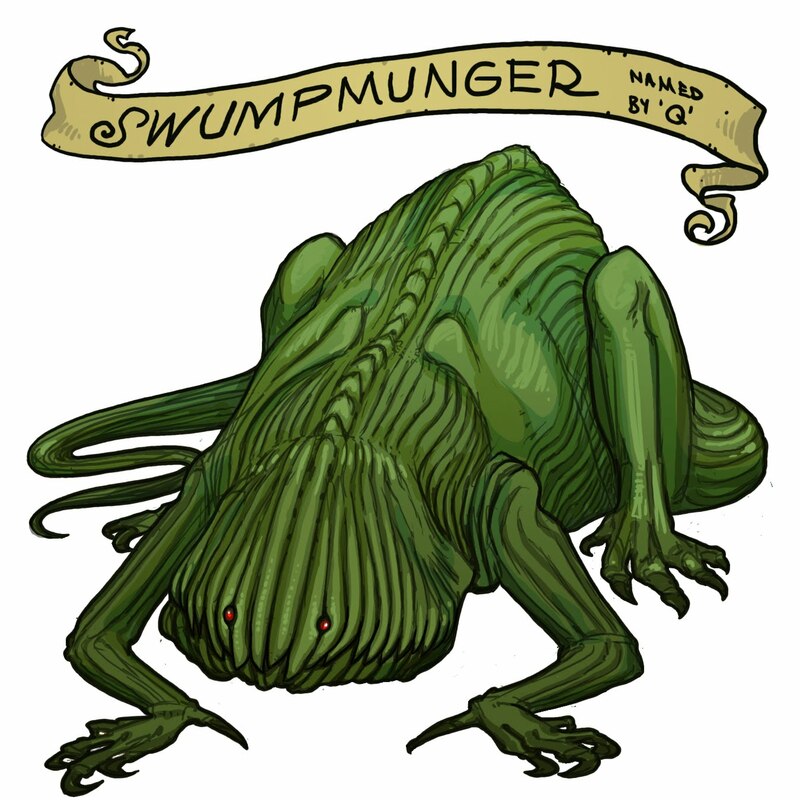 Dragon #4 is a creeping swamp dweller. Name that Dragon! Last Friday's dragon was given a rare DOUBLE name. When I read the list of names out to the judges, they heard the two entires, "Trixie," and "Meku" as one name. They really liked "Trixie-Meku." The judges have spoken! Congratulations to Greg and Leigh and Debbie Barr! Succulous- Looks a little like a spineless,toothless cactus dragon.